At 4 a.m. on a cold winter morning, men and women, black and white, all gathered together for one unsegregated purpose; shucking the oysters of the Chesapeake Bay. This may have been almost a century ago, but the inspirational gospel songs sung by these people still echo through the McNasby Oyster packing plant; now known to the public as the Annapolis Maritime Museum. Founded in 1986, the museum’s staff and volunteers work tirelessly to ensure that the community and its visitors of all ages are educated in the history of Annapolis’ maritime heritage as well as the ecology of the Chesapeake Bay. Those who simply know Annapolis for its sailing and shopping will truly be enlightened as they experience the variety of interactive exhibits featured inside, as well as outside off of the pier. 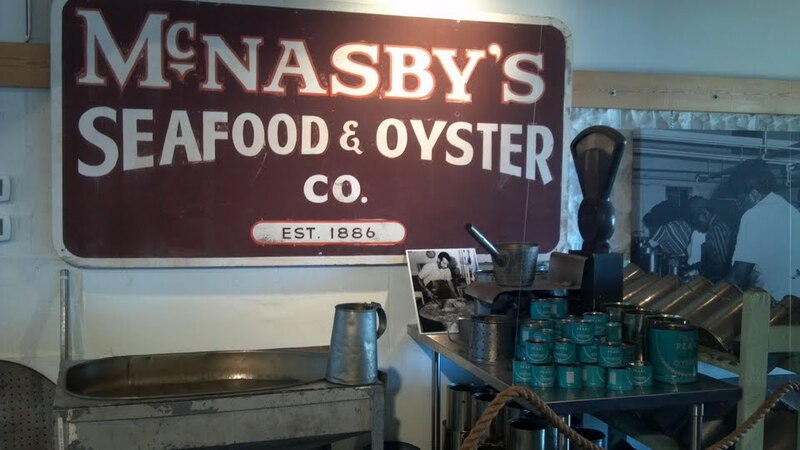 The current exhibit, Oysters on the Half Shell, showcases the importance of the oysters, the industry and the hardworking people who made the booming business possible. Sadly, the industry has slowed down significantly over time. The docks that sit behind the museum were once a prosperous and profitable market place. 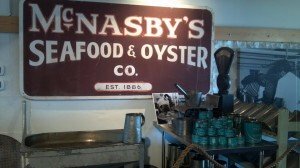 In the 60s and 70s, McNasby’s son William Jr. (who eventually took over the company) would tally the bushels of oysters being brought in. At that time in history, it was common to see men selling 100 bushels, a rate that is simply impossible now. Holland noted that now, even eight bushels would be hard to accumulate in a day’s work, as we are left with only 1 percent of the historic oyster population. Problems like pollution, disease and overharvesting have created the severe change. The staff is active in the Oyster Recovery Partnership, which helps stabilize the population through sanctuaries and planting spat (oyster larvae). Despite this harsh impact, the museum hosts a tank containing a living oyster reef. The water inside is surprisingly clear, as the cleaning is done by the oysters themselves! Holland commented that a single oyster can filter an entire bathtub’s worth of water. The tank is custom-designed, and its C-shaped arch allows children (and anyone small enough!) to immerse themselves in the habitat of one of the bay’s most cherished creatures. The exhibit also features a large-scale oyster (for a closer look at their fascinating anatomy), actual equipment used for packing and processing, and the V-shaped deadrise boat Miss Lonesome. Kids are encouraged to climb aboard the workboat and learn how the watermen once tonged oysters off of this very vessel. Oysters on the Half Shell may primarily celebrate the impact that these critters had on the past of Annapolis, but the legacy of the business is still very much alive in the city. The Buchanan Bay Room is a multipurpose area in the back of the museum, primarily used as an art exhibit. The staff replaces its photographs and paintings every six to eight weeks with new exhibits, which all showcase the work of local artists. It is also used as a classroom, lecture hall and concert hall. Last year the museum connected 2,237 kids with the culture of the bay through their educational programs. While walking outside on the pier, guests may notice signs instructing them not to loiter, fish or crab. The staff at the museum instructs their visitors to do the opposite; ignore them and enjoy the splendor of the Chesapeake Bay! 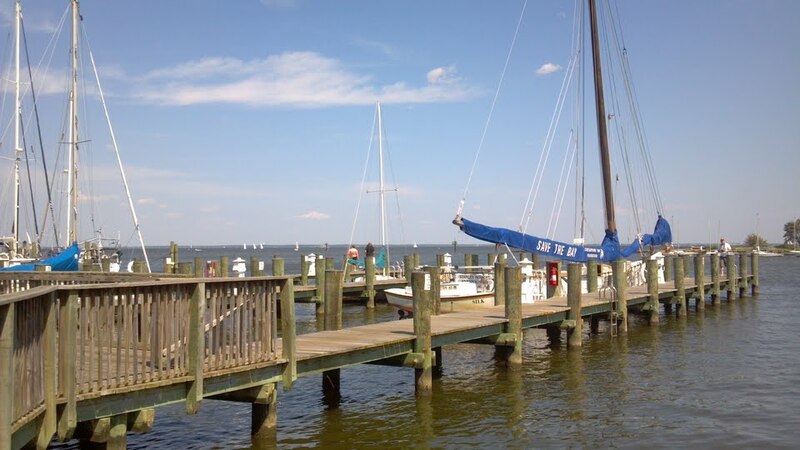 Throughout the year, visitors are encouraged to canoe, kayak, fish, crab and sightsee as this location provides an excellent view of the gleaming Chesapeake at the mouth of the Severn River. Tied to the wooden docks of the museum are a number of boats with incredible history behind them. One particular boat, the Stanley Norman, a skipjack built in 1902, is truly one-of-a-kind. Known for their large triangular sails, the boats were used for oyster dredging. Attaching a motor to these vessels was prohibited by law,so watermen would sometimes attach pushboats to better mobilize the ships. Holland stated that 100 years ago, there were around 1000 skipjacks. Now there is said to be between merely six and eight, the Stanley Norman being one of them! 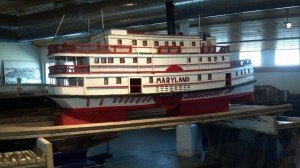 Inside and out, the Annapolis Maritime Museum is a treasure chest full of interactive history, education and fun, waiting to be opened by visitors, locals and maritime enthusiasts alike. Through their conservation efforts, tours, educational programs and concerts, the staff’s passion for the bay and getting the community involved is clearly evident. As guests anxiously peer over the side railings, they notice fishermen tirelessly working under the blazing sun as they catch enormous stripers that wriggle in defeat. They feel like children again as they explore the area and notice strange markings chiseled into a pile of rocks; what they are observing are the signatures of the men who once manned this beautiful and significant lighthouse. No matter one’s age, summers should include at least one memorable adventure. What could be better than a boat ride on a beautiful summer day, an intimate group size and a tour of the last screw-pile lighthouse in its original location? 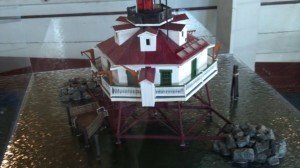 This Saturday, June 30, marks the first of many tours of the Thomas Point Shoal Lighthouse held by the Annapolis Maritime Museum. The three-hour fun begins with a 30-minute boat ride which departs from the museum. Participants will then be led on an engaging tour of the lighthouse where they will be informed on topics ranging from the lifestyles of the past lighthouse keepers to the explanation of how the rest of this specific type of lighthouse came to be destroyed. The tour ends with another 30-minute boat ride back to the museum, where guests enjoy the splendor of the Chesapeake Bay. The Thomas Point Shoal Lighthouse, built in 1875, was once one of 42 unique screw-piles, but due to flowing masses of ice, their vulnerable structures took heavy hits and their bases were destroyed. The name screw-pile comes from the 42 foot long poles that the structure rests on, which are corkscrewed manually into the sandy bottom below. They do not resemble what one would typically imagine when they hear the word “lighthouse”; they are smaller and resemble more of a shack than a tall, tower-like structure. Its operations became automated in 1986, but nonetheless it is still an aid to navigators on the waters of the Chesapeake. Museum Director Jeff Holland recounts his times at the lighthouse on the docks behind the museum. In 2004 the Annapolis Maritime Museum became one of four partners to adopt the lighthouse. They also have joined the Chesapeake Chapter of the U.S. Lighthouse Society for the purpose of protecting and restoring such a marvelous structure. Currently, the Thomas Point Shoal uses solar panels on its roof. Now the structure is open to public for educational purposes, sailing enthusiasts, and overall curiosity. This is the sixth year of the tours and last year over 600 guests had this enlightening opportunity. So don’t waste your time and reserve your spot today as there is a limited 18-passenger capacity for each tour. All tours run at three separate times: 9 a.m., noon and 3 p.m. Tickets are $70 and can be reserved by calling the museum at 410-295-0104. The other tours will be held on July 7, July 28, August 11, August 18 and September 6, all at the same time periods listed above. It’s exciting and meaningful events like this that really celebrate the spirit and history of Annapolis and the Chesapeake Bay. 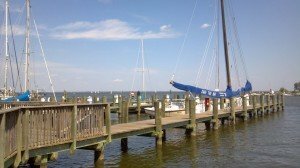 Annapolis is a sailing and boating capital. Annapolis is home to a large fleet of sailboats and power boats sheltered at the many area marinas. Annapolis has a vibrant maritime industry from watermen who continue the family heritage of plying the Chesapeake for fish, crab and oysters, to sail makers and boat architects working on the latest innovations for the America’s Cup races. 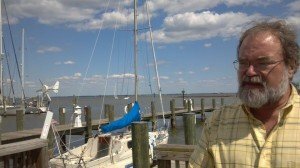 For a list of businesses serving the Annapolis Sailing and Boating Communities visit the Annapolis.com Boating Guide.